After a shaky start to the FIM Supersport World Championship season, scoring just 9 points after the first two races, Jules Cluzel (NRT) seems to have found his groove this year. 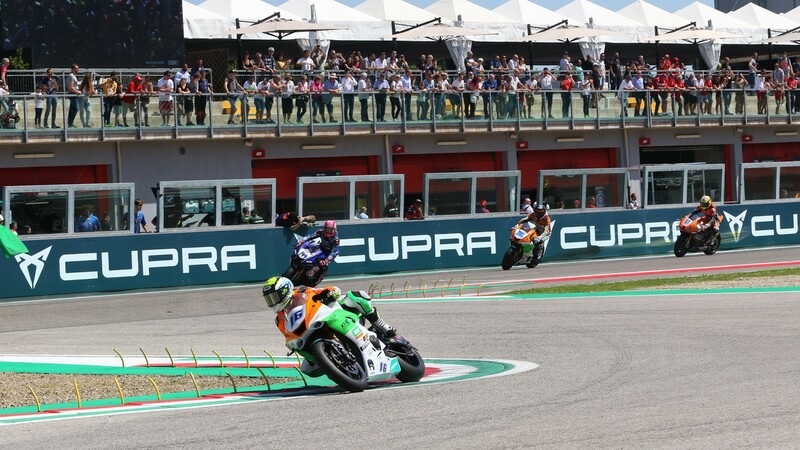 The NRT rider followed his Assen win (a first in a year and a half) with another victory at the Autodromo Internazionale Enzo e Dino Ferrari di Imola, and moves just 6 points away from championship leader Randy Krummenacher (BARDAHL Evan Bros. WorldSSP Team). 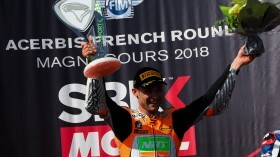 Cluzel is also the first rider to record three consecutive podium finishes this year, an impressive feat given the insane competition at the front. Consistency here at Imola was the key: “It was a very difficult race, because I was expecting to go faster. Mahias passed me and was faster, but he made a mistake so I tried to keep the best pace without making any mistakes. 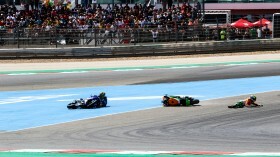 Then when Caricasulo was in the lead, he also made a mistake and I just tried to keep my pace and make no mistakes”. 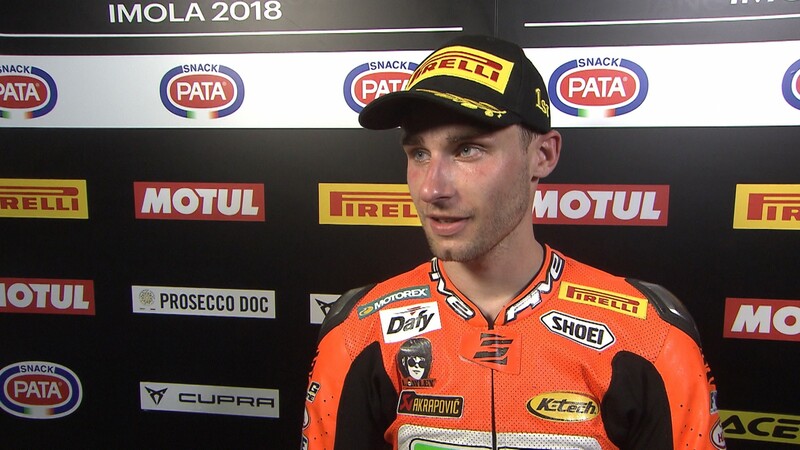 “Like at Assen, I wasn’t the fastest, but still won at the end”, he says. “It’s an incredible feeling. I’m quite proud about that, because I think the experience is something that I’m just showing now”. In his five previous WorldSSP seasons, Cluzel had never scored this many points after 5 races. However, with his positions at the end of those five seasons reading 2nd, 4th, 2nd, 2nd, and 3rd, it’s understandable that the Frenchman would adopt a cautious stance towards the championship race. 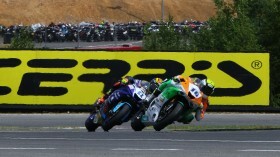 “I’m not thinking about the championship”, Cluzel admits. “I’m just thinking about enjoying this as much as possible, doing my best without doing stupid things”. If the last three rounds are anything to go by, that may be a very sound strategy. 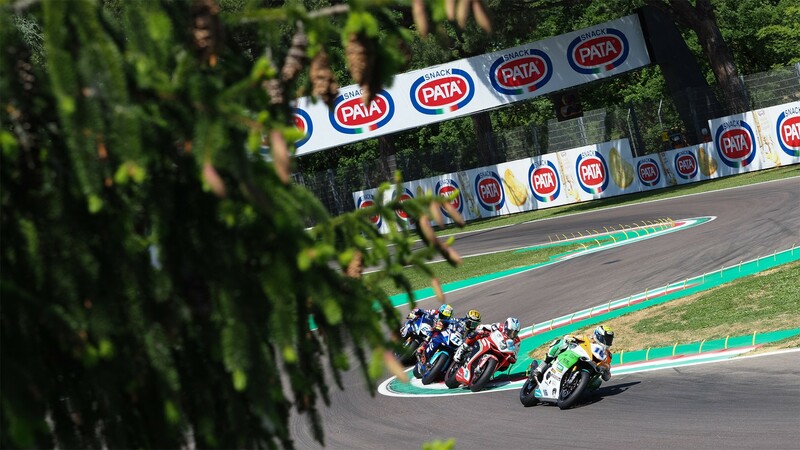 Relive all the action from the Pata Italian Round, including the full WorldSSP race, thanks to the WorldSBK VideoPass.